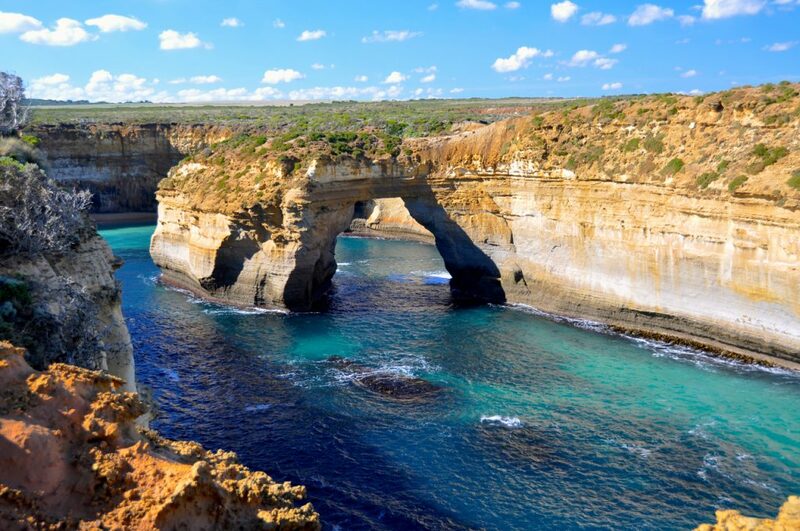 The rugged South Coast of Australia- a magnificent coastline full of incredible natural wonders. Comprised of quaint coastal towns, beautiful beaches, immense surf, towering forests, and some of the very best wildlife viewing in the entire country, the South Coast is a haven for backpackers. 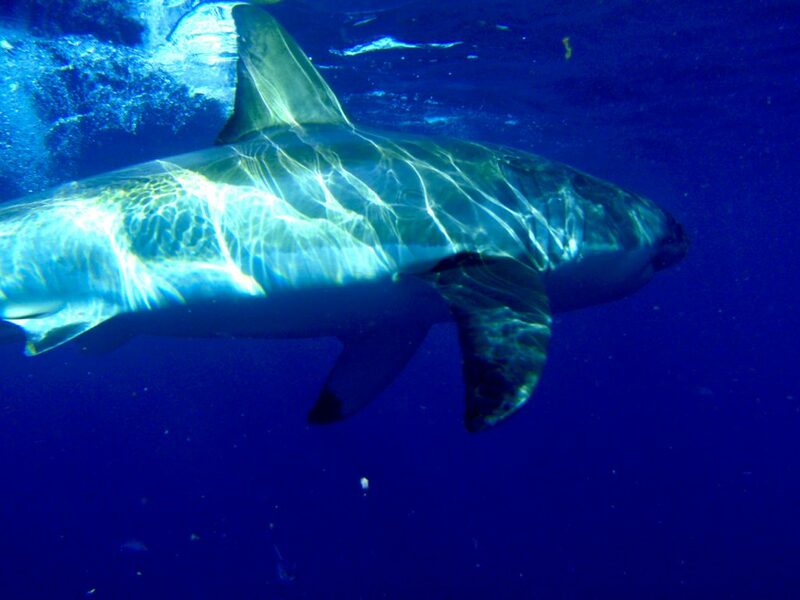 Whether it’s a breathtaking drive along the spectacular coast, a heart-thumping hike through coastal hills, a relaxing arvo spent sipping local wines, or a mad adrenaline rush when coming face to face with one of the world’s apex predators, this part of Australia has more than enough to keep you busy for weeks on end. 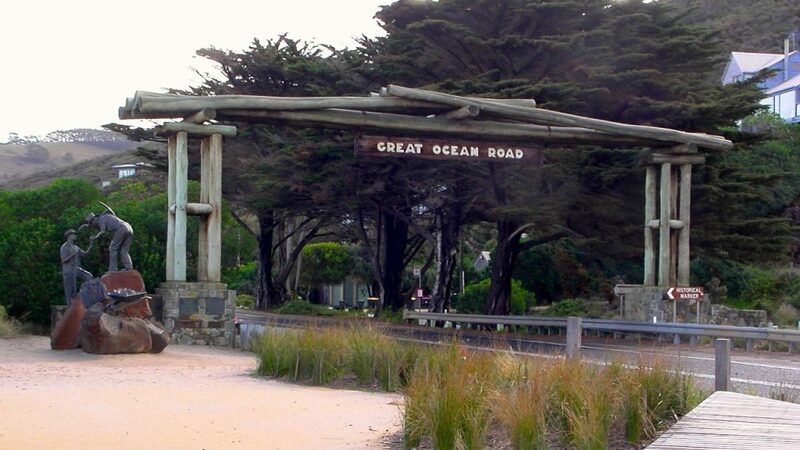 The iconic Great Ocean Road- a ‘Must See’ for anyone visiting Victoria- starts just outside of Melbourne, winding westward along the coast for 150 mind-blowing miles. This stretch of road alone is enough to attract thousands of travelers to the coast each year, and these visitors are routinely surprised to find so much more waiting for them in addition to the road itself. Wildlife reserves, national parks, great hiking and rock climbing, friendly locals and cool little towns- all this and more can be found along Australia’s stunning South Coast. Hang Ten at Bells Beach- The town of Torquay, located just outside of Melbourne, is one of the epicenters of surfing culture in the surf-crazed country of Australia. You can find outlets for any and every surf apparel and equipment company in town, and the infamous Bells Beach- site of an annual competition on the Pro Surfers Tour- is only a short drive away. Now, if you’re a beginner, Bells Beach is NOT the place to have your first go at learning how to surf- most days, it is HUGE, and should be left to the pros. It is definitely worth stopping by though, if only to gasp at the size of the waves, and marvel at those skilled enough (Read: CRAZY enough...) to take them on. There are several permanent viewing platforms around the beach, providing great opportunities to snap that perfect ‘surf photo‘. Chill out in Apollo Bay- One of the great aspects of driving the Great Ocean Road yourself is having the freedom to stop in the tiny towns you come across along the way. Perhaps the best of these is Apollo Bay- a quiet seaside town nestled up against gently rolling hills. 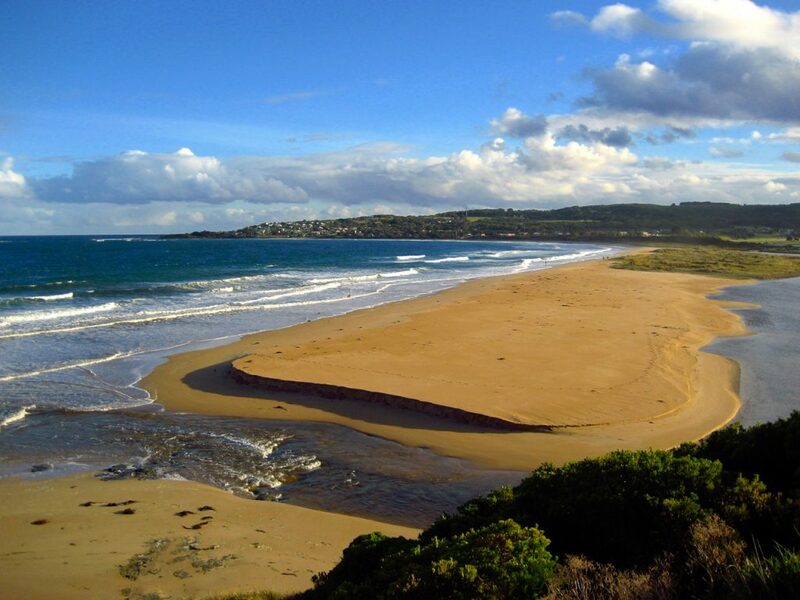 Numerous cafes and restaurants, a main strip dotted with shops of anything and everything, a handful of boisterous pubs, great fresh seafood, charter fishing trips, and a spectacular local golf course- Apollo Bay seems to have it all. If you’ve got time to spare, spend a day or two exploring the town and getting to know the locals- you’ll be glad you did. 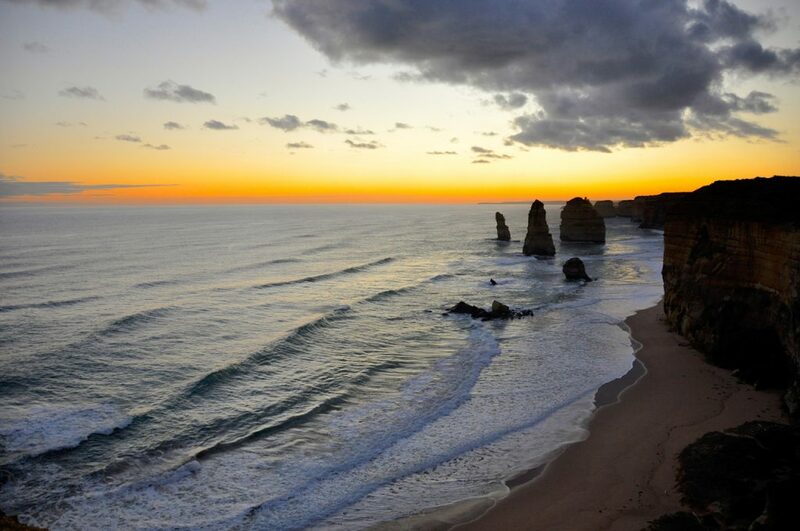 Stand in awe of the 12 Apostles- If there is a singular, absolute ‘MUST SEE’ along the South Coast, this is it. The Twelve Apostles rock formations (Located in Port Campbell National Park) are one of THE iconic landmarks in ALL of Australia. 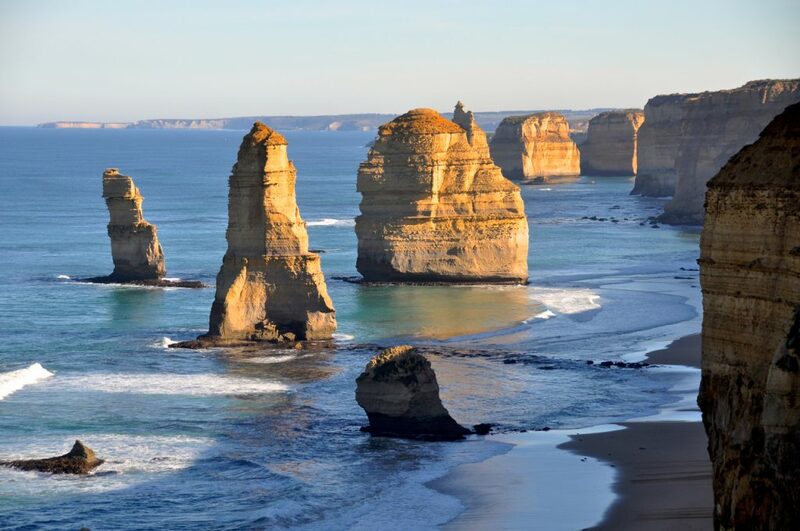 These limestone pinnacles, formed through eons of pounding surf battering the South Coast, are some of the most spectacular rock formations in the world. One of those places that well and truly has to be seen to be believed. 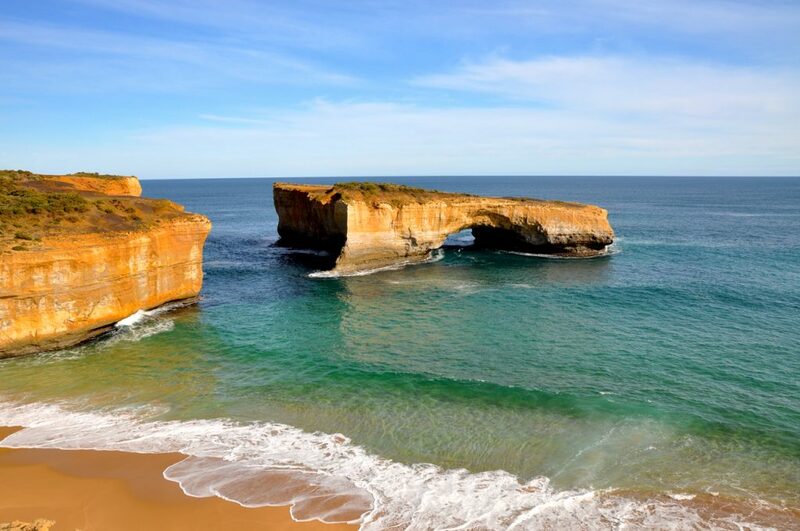 Take it all in- In addition to the Twelve Apostles, there are innumerable rock formations strewn all along the coast. 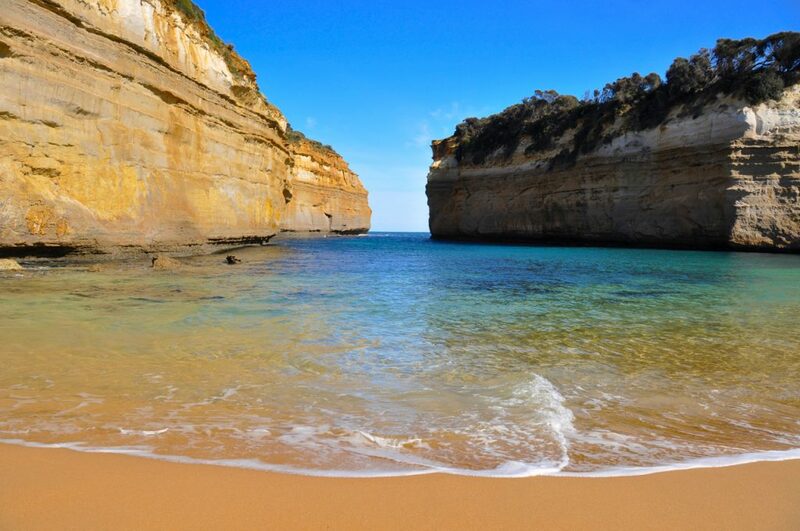 Some of the highlights include Loch Ard Gorge, The Grotto, Razorback, The London Arch, and the Bay of Islands- all of these are worth seeing, each magnificent and unique in their own right. 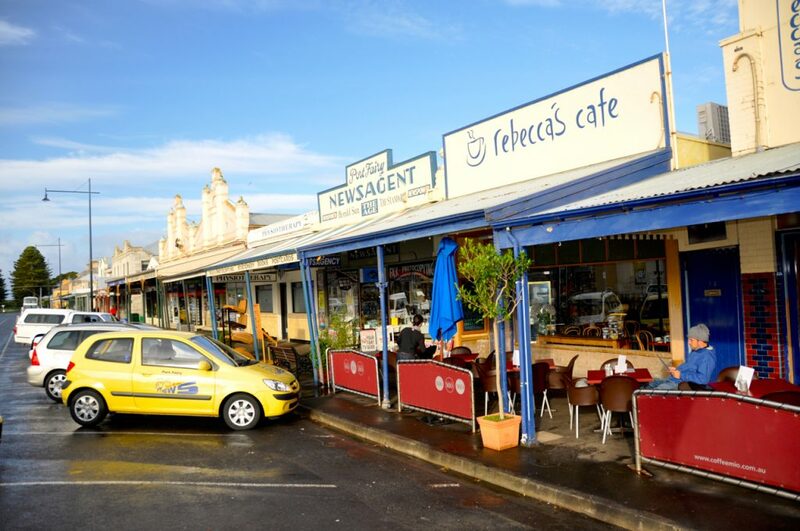 Have a coffee in Port Fairy- located towards the west end of the GOR, Port Fairy is yet another amazing little town along the way. Great cafes, used book stores, kitschy shops, and a beautiful beach, Port Fairy has a vibe all its own- an ideal spot to take a break from the road. Keep a look out for seals trying to get a free meal in the small fishing port. Hike in the Grampians- The Grampians National Park, located about 2 hours north of Port Fairy, is a rugged wilderness full of incredible hiking trails and equally amazing vistas.The nearby village of Hall’s Gap has a bit of an earthy, ‘mountain town’ feel about it- a great place to curl up next to the fire with a good book and a hot chocolate. 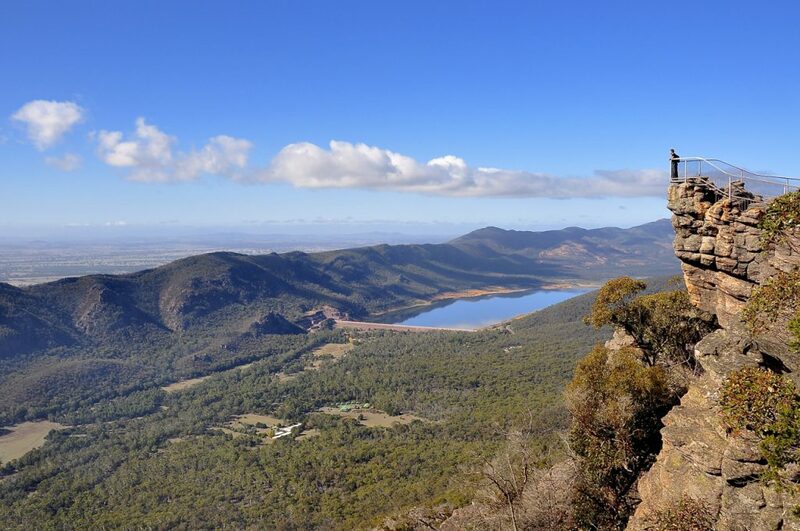 There are several local wineries in the area, and if you plan your visit carefully, you could be fortunate enough to take part in the ‘Grampians Grape Escape’- the annual food and wine festival. GOOD TIMES. Have a stein in Hahndorf- located on the outskirts of Adelaide, the small town of Hahndorf is a traditional German community, complete with Bavarian beer halls, humongous sourdough pretzels, and cheerful oompah bands playing on the corners. Stop in for a cold one, and have a look around the shops and cafes that line the main street. The chicken wings at the Hahndorf Inn are beyond compare. Visit Adelaide and the beach-side suburb of Glenelg- Adelaide is the capital city of South Australia, and is the 5th largest city in the country. Full of museums and known for its artistic slant, Adelaide is a great place to get a slice of Australian culture. After a day in the museums, take the tram south to the seaside suburb of Glenelg- a great little spot full of shops and cafes set along lengthy stretches of sand, sun, and surf. 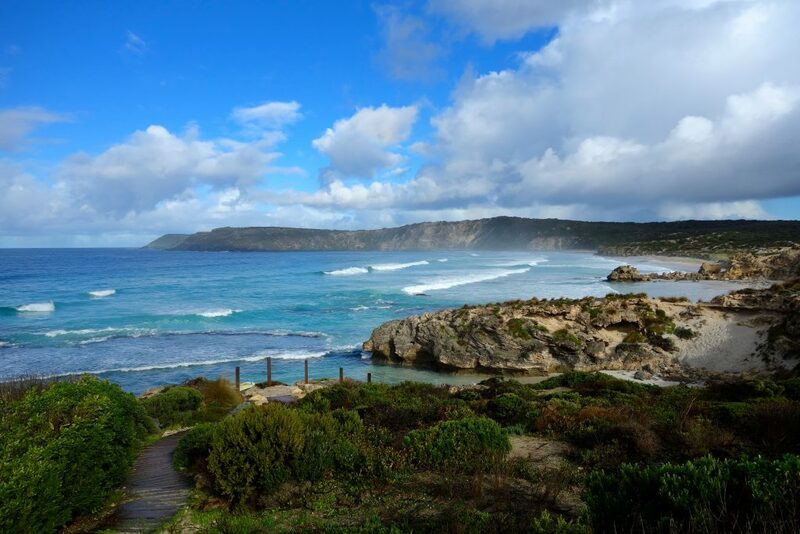 Explore Kangaroo Island- a natural wonderland, Kangaroo Island sits just 70 miles south of Adelaide, and is easily accessed from the city. With over a quarter of the island protected in national parks, wildlife reserves, and conservation areas, it is a popular destination for wildlife viewing, hiking, and numerous other outdoor activities. A tiny archipelago just offshore from the town of Port Lincoln, the Neptune Islands are THE South Coast destination for any and all thrill seekers, adrenaline junkies, and those whose English friends might describe as ‘a bit mental’ (Along with any and all travelers ready to face their fears of the deep, of course...). Sure, the crowds are impressed and entertained by the hordes of New Zealand fur seals that splash and frolic in the shallows, but what they’re really there to see is what waits just offshore, in the deeper waters, patiently circling, biding their time until a wayward seal strays just a BIT too far from the safety of the tidal area... Sharks. BIG sharks. Great White Sharks, to be precise. 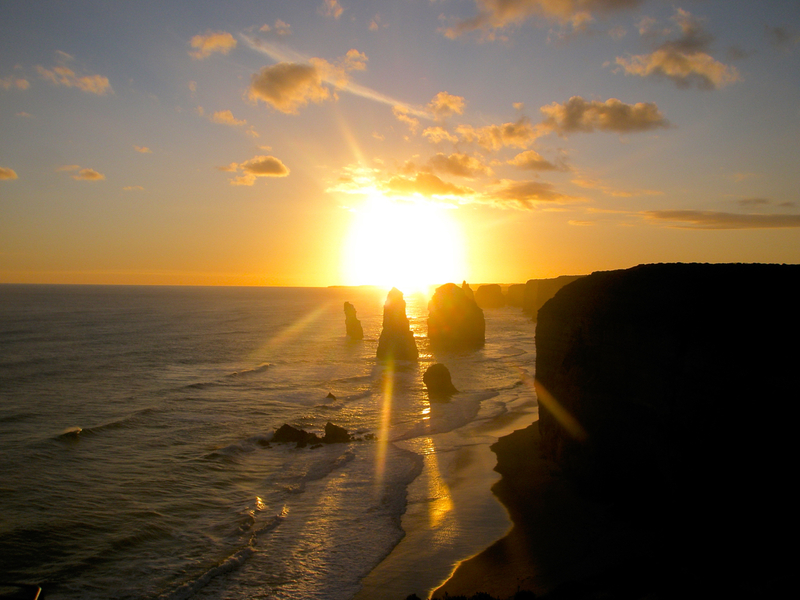 If you have the time and are planning on staying overnight somewhere along the GOR, try to find a spot close to Port Campbell and the Twelve Apostles. Doing this will make it easier for you to visit the site at sunset the first day, as well as after sunrise the following morning. You will get AMAZING photos during sunset the first evening, and a totally different view of the rock formations as the sun rises the next morning. Honestly, the Twelve Apostles never get old, and it is well worth the two trips. If you’re keen, EAT SEAFOOD. In most places along the South Coast, it is FRESH- like, ‘just out of the water this morning’ fresh. Can’t beat it. Speaking of seafood, avoid any chartered ‘flathead’ fishing trips along the coast. Unless you’re a ‘flathead expert’, they are near impossible to catch, and even if you do hook up, they aren’t that exciting to land. Apparently great eating, you’re better off buying some rather than trying to catch your own dinner. 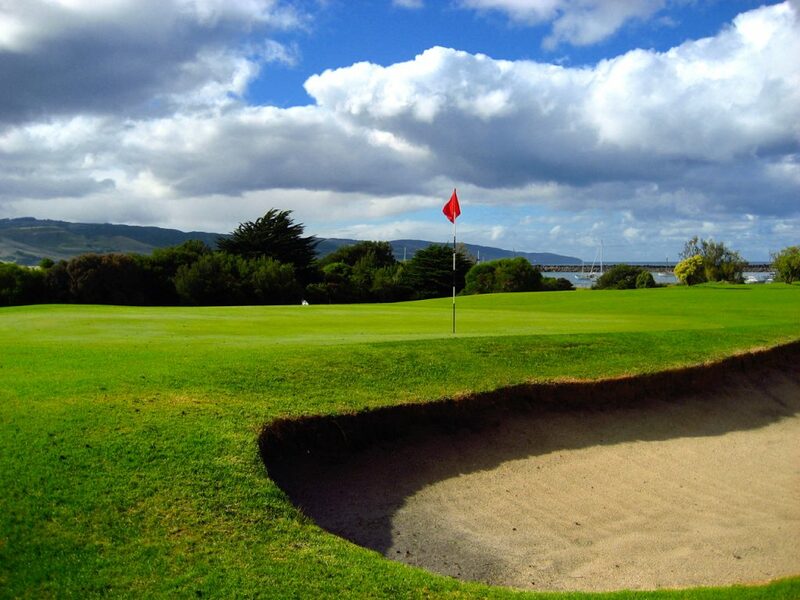 Even if you’re not a golfer, have a few hacks along the links at the course in Apollo Bay. The course is set along beautiful coastline, and the views alone are worth the greens fees (CHEAP- around $10AUD). Ask your accommodation’s front desk about club rental options- a few of the stores in town may have a set or two available. If you’re one of those people that are into stopping off at quirky sights along the way, check out the world’s largest koala, located in the ‘town’- more of an outpost, really- of Dadswells Bridge. Its huge (The koala- not DB). Typically, I try to refrain from naming specific hostels/cafes/pubs/etc. on this website in an effort to avoid recommending places that may have closed over time. Here, I have to make an exception. The YHA Eco Beach hostel in Apollo Bay is perhaps the best hostel I stayed in throughout all my travels. It is AWESOME, and eco-friendly to boot. If you’re driving the GOR yourself, ask a local about the ‘Koala Sanctuary’ located between the towns of Lorne and Apollo Bay. It is literally just a dirt track that turns off the main road, and a little local knowledge will help make sure you don’t miss it. Great opportunity to view and photograph koalas in the wild. Also, the local birdlife has grown accustomed to visitors, and thus aren’t afraid to land right on your hand, your arm, even your head. 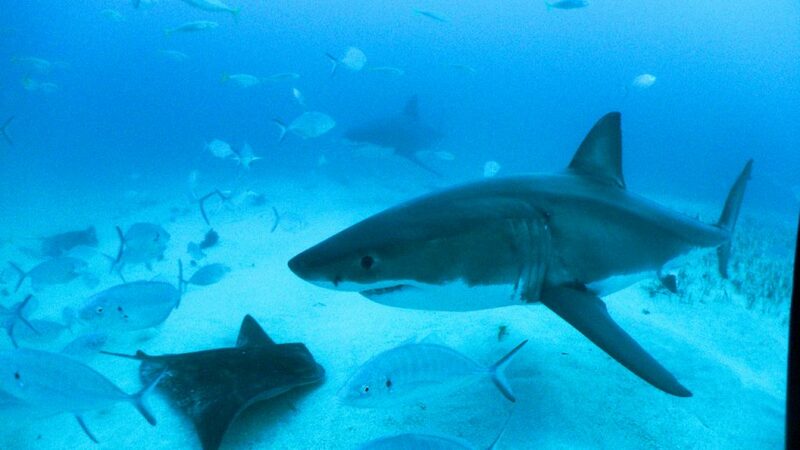 As usual- regardless of whether you trend towards seasickness or not- if you are going on a shark-diving excursion- DON’T FORGET YOUR DRAMAMINE. Despite what the weather forecasts may say, the seas will be ROUGH, and you will want to have it handy. 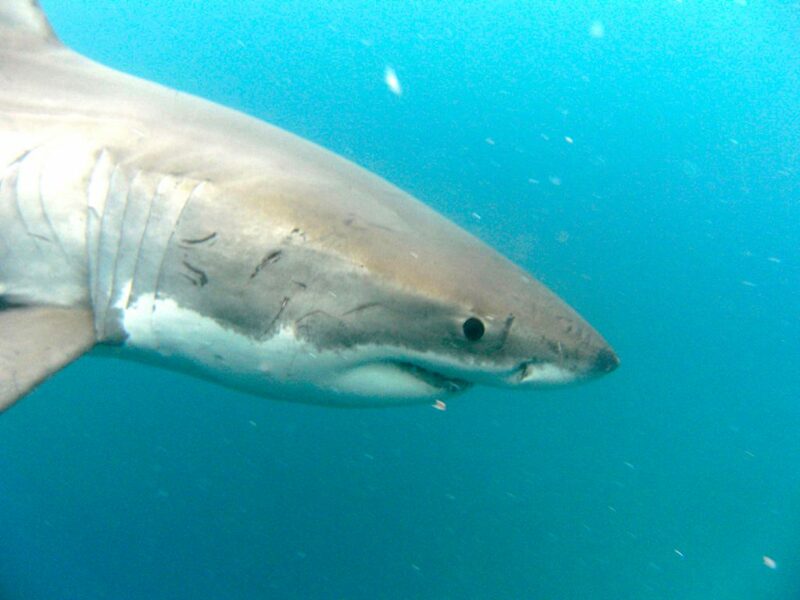 When researching your shark-diving excursion, pay attention to the local ‘shark season’- there are periods during the year when the viewing is much better than others, and the timing of your trip could make or break the experience. As always, ask at your accommodation’s booking desk about local deals and discounts- it’s always worth the ask, and its a great way to save a few bucks, which do add up over time.